Restoration is a full-service counseling, testing and assessment practice. Our goal is to move our clients beyond the need for our services, into a full, vibrant, independent future. 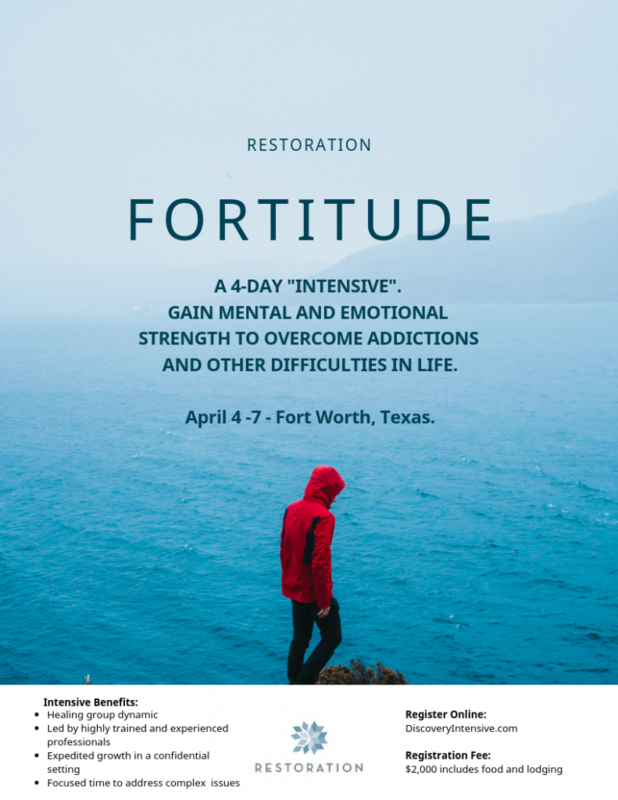 While offering a stable of counseling services, Restoration is one of the region’s leaders in DBT and wishes to position the brand on this increasingly high-demand service. So what is DBT? It’s a cognitive behavioral treatment that is seen as the gold standard psychological treatment for a wide range of emotional dysfunction such as substance dependence, depression, post-traumatic stress, and eating disorders. “Dialetical” Behavior Therapy means the synthesis or integration of opposites. Developed in 1980 by Dr. Linehan (Linehan Institute), the treatment approach intentionally exposes clients to both “acceptance-oriented” and “change-oriented” skills to help them confront the fear and then change the emotional response patterns that trigger harmful behavior. Mindfulness: The foundation to the skills, it practices being “fully aware and present” in the one moment (not straying into the emotional mind by a lack of focus). At this point of entry, the client’s miserable and their behavior is out of control. The goal of stage 1 is for the client to move from being out of control to achieving behavioral control. Distress Tolerance: How to tolerate the pain in difficult circumstances, not change it (calmly recognizing the negative situation). At this stage, they’re living a life of quiet desperation; their behavior is under control but they continue suffering often due to past trauma and invalidation. The goal is to move them from a state of quiet despair to one of full emotional experiencing. Interpersonal Effectiveness: How to ask for what you want and say no to potential unhealthy environments while maintaining self-respect and relationships with others. The goal is to learn to live; to define life goals, build self-respect, and find peace and happiness. Ultimately, to have the client lead a life of “ordinary” happiness and unhappiness. Emotion Regulation: How to change emotions that you want to change. Some clients need to find a deeper meaning through a spiritual existence, hence a life of “ordinary” happiness and unhappiness fails to meet their personal sense of connectedness of a greater whole. The goal is to move them from a sense of incompleteness towards a life that involves an ongoing capacity for experiences of joy and freedom. DBT skills training group: It’s a collaborative exercise that focuses on enhancing clients’ capabilities by teaching them behavioral skills. Groups meet on a weekly basis. DBT individual therapy: It helps enhance client motivation by helping them to apply the skills to specific challenges and events in their lives. It occurs once a week and runs concurrently with skills groups. DBT phone coaching: It’s focused on providing clients with in-the-moment coaching on how to use skills to effectively cope with difficult situations that arise in their everyday lives. Clients can call their individual therapist between sessions to receive coaching at times when needed most. DBT therapist consultation team: It’s therapy for the therapists to support DBT providers in their work with people who often have severe, complex, and difficult-to-treat disorders. Family therapist: The fifth modality, that’s unique to Restoration, is providing a family therapist to ensure families of clients know how to help and validate the client between professional counseling. Overall, in a nation where suicide attempts and self-harm are up by 250%, DBT has strong results, accounting for a 60% success rate with suicidal patients. Restoration is proud to offer cutting edge neurofeedback technology. This therapy has been proven effective in improving symptoms of ADHD, anxiety, depression, migraines, addiction, autism, and much more. Neurofeedback is a non-invasive therapy in which an individual’s brain waves are recorded and compared against the brain waves of a normally functioning brain. When a deviation occurs that is strong enough to warrant treatment, the individual works with one of our trained therapist to stabilize the area of the brain that has the biggest struggle. Neurofeedback is a non-invasive therapy in which an individual’s brain waves are recorded and compared against the brain waves of a normally functioning brain. When a deviation occurs that is strong enough to warrant treatment, the individual works with their therapist to stabilize the area of the brain which is farthest away from the norm. This is done through the process of operant conditioning, where rewards for positive behavior are used to increase learning capabilities. The first step of neurofeedback therapy is to record a map of the brain. This non-invasive process involves recording brain waves with eyes open, and with eyes closed. This gives a good baseline reading of the participant’s brain activity. The results from this process are then uploaded to a normative database which compares the participant’s brain to an average individual of the same age and gender. This identifies the participant’s brain functioning issues by showing the areas of the brain that are operating outside of the normal range. Once the problem areas have been identified, the participant and therapist work together to implement a treatment using neurofeedback that will correct and repair neural pathways, Improving the participant’s brain functioning. A typical session of neurofeedback therapy takes 45 minutes, and involves watching a movie or listening to music. Participants take 1 to 3 sessions per week for a total of 20 to 40 sessions. The results and improvement that this therapy causes is often permanent. Restoration’s Intensive Outpatient Program is based on Dialectical Behavioral Therapy (DBT). The program is conducted over a five-week period. During the program, DBT skills that include crisis management skills, the ability to regulate emotional reactions, and the ability to enhance motivation to change are taught and practiced. The intended outcome of the Intensive Outpatient Program is to decrease in life threatening behaviors like self-harm or suicide attempts and improve overall quality of life. In general, an Intensive Outpatient Program (IOP) is a short-term treatment modality that teaches useful coping skills that reduce emotional distress. An IOP can be a good fit for an individual who is experiencing significant mental health distress (depression, anxiety, eating disorder, substance abuse) that needs more intensive therapeutic intervention than weekly counseling sessions, but does not necessarily meet the requirements for hospitalization. Restoration’s IOP is a five (5) week treatment that assists people in developing skills to manage their emotional distress. The skills that are taught are taken from Dialectical Behavior Therapy. Those who participate in Restoration’s IOP are expected to attend three group meetings a week. Groups will be held in the evening. The length of each session will be approximately two hours. Restoration recommends those who participate in the IOP engage in two cycles of the five-week program. The IOP will be conducted in a group format. During the IOP, the (DBT certified) facilitator will train participants on specific DBT skills (i.e. Mindfulness, Interpersonal Effectiveness, Emotional Regulation, and Distress Tolerance), provide an opportunity for each participant to practice the DBT skills, and process the group’s experience. Participants in the IOP program are also encouraged to engage in individual therapy while participating in the IOP program. The individual therapist does not have to be a therapist at Restoration, but the therapist should be knowledgeable of DBT principles and skills. Restoration can provide a DBT therapist if a participant in the IOP program does not already have an individual counselor. Mindlessness; emptiness; being out of touch with self and others; being judgmental. Interpersonal conflict and stress; loneliness. Absence of flexibility; difficulties with change. Up-and-down and extreme emotions; mood-dependent behaviors; difficulties in regulating emotions. Impulsive behaviors; acting without thinking; difficulties accepting reality as it is; willfulness; addiction. Parents or significant others of those who are attending Restoration’s IOP are encouraged to attend an informative seminar. The four-hour informative seminar is held on the first Friday of each month. Restoration also offers telephone and video conference counseling for those individuals, couples or families who are unable to travel to our office. Restoration offers a variety of group sessions that are specifically part of DBT. DBT skills training is made up of four modules: core mindfulness, distress tolerance, emotion regulation, and interpersonal effectiveness. They are designed to specifically assist individuals in better managing behaviors, emotions and thoughts. The intent is to help people who experience problems with anger or the expression of anger, episodic depression, irritability or anxiety, intense or chaotic relationships, impulsivity, stress and feelings of emptiness. Core Mindfulness teaches a person how to focus their mind and attention. Distress Tolerance develops acceptance of the current situation as well as crisis survival skills to decrease the likelihood of engaging in problematic behavior. Emotion Regulation skills include learning to identify and label current emotions, identifying obstacles to changing emotions, reducing emotional reactivity, increasing positive emotions and changing emotions. Interpersonal Effectiveness skills teach helpful strategies for asking for what one needs, saying no, and coping with interpersonal conflict. Restoration also has a specific group session for parents of DBT patients of all ages. We recognize that there are times when skills are best acquired while in the midst of a situation. Restoration has DBT Skills specialists who will help you transition skills into practice while being exposed to that situation that is uncomfortable or downright paralyzing. Psychological Assessments are standardized measurements we use at Restoration to evaluate intellectual, behavioral, and psychological well-being. This information is used to develop a comprehensive treatment plan best suited for our clients’ needs. Personality - This assessment provides information concerning the individual’s ability to handle stress and determine if there might be impairments in the client’s daily life, such as anxiety or depression. The clinician will also provide recommendations on how to improve one’s emotional state. Neuropsychological - This assessment measures one’s attention, language, memory, executive functioning, and intelligence. Strengths and weakness are identified and suggestions are given on ways to improve one’s cognitive abilities. Educational - This assessment measures an individual’s Intellectual Quotient (IQ) and academic achievement levels. The results provide insight on what academic environment and teaching techniques might provide an optimal learning experience. Behavioral - This assessment considers information from multiple sources and psycho-measures to identify factors that contribute to the undesirable behaviors. Once the factors are identified, a comprehensive treatment plan is developed to reduce the behavior. People who typically benefit from a behavioral assessment include those who demonstrate symptoms of ADHD, display defiant behavior, or struggle with substance abuse. Relational - This assessment is useful for couples considering marriage along with married couples and families wanting to strengthen their relationships. Career - This assessment can be useful for teenagers, young adults, and people contemplating a mid-life career change. During the 45-minute interview, a conversation between the patient and clinician occurs. The aim of this conversation is to discuss the purpose of the assessment and identify the methods to be used during the assessment. Factors that help determine the purpose of the assessment include: the clients personal history, relationships, education, career and health. At the conclusion of the interview an appointment is made to administer the psychological measurements. The administration can take anywhere from a couple of hours to a couple of days, depending of the nature and purpose of the assessments. These measurements are used to gather objective data regarding an individual’s well-being. When the measurements are completed, the clinician will score and interpret the information that was gathered. This 45-minute appointment is generally scheduled 7 to 14 days after the measurements were administered. During the feedback session, the patient is given verbal and written feedback on the clinician’s findings and treatment recommendations are provided.